The Unicode Consortium is taking Apple's proposal from 2018 into consideration to better represent people with disabilities, and the latest Unicode Emoji 12.0 additions announced that desire to the fullest. 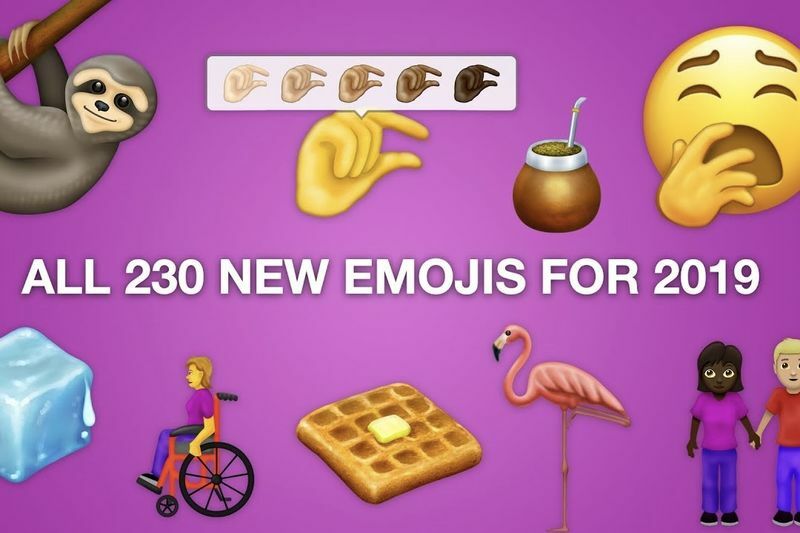 The freshly finalised set of 2019 emoji addresses all kinds of people with physical disabilities, covering mechanical arms and legs, sign language and hearing aids, and even a yawn face, to state that the tiredness is real. There's also a greater range toward the updated emoji pack, in terms of skin tones and relationship types, as a bunch of new variants of the "people holding hands" emoji expand the combinations of genders as well as races. Besides humans, the new emoji also broaden the range of other animals represented, with otters, orangutans, flamingos, and sloths all making it in. On the food front, there's now butter (finally), garlic, onion, falafels – for all those vegans out there –, waffles (yes! waffles), and even ice cubes. More ominous additions include razors, axes, and a drop of blood. In total, there are 59 new emoji and 171 new variations on all the existing ones. One of Emojipedia's most requested emoji was apparently a white heart, and that seems to have made the cut. In fact, as of 2019, all of the major colours will be represented with circle, square, and heart-shaped emoji. If you've been waiting to express yourself with a brown heart, 2019 is here to make your emoji-dreams come true! As per usual, the new emoji additions will take a few months to show up in consumer products. The present announcement is merely to get the documentation in order, and then it will be up to software providers such as Apple, Google, Samsung, and Microsoft to design their own takes on each emoji and implement those in their device interfaces, and software updates. Video: 3d Printed Artificial Heart Works Just Like A Real One! Video: Project Ara! Its Here And Were Excited.